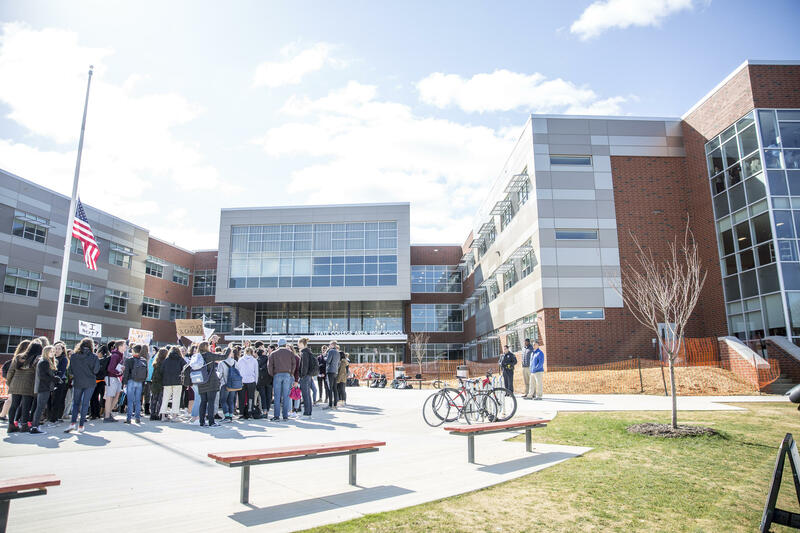 State High students gathered in the school courtyard during the walkout in protest against gun violence on April 20th, in conjunction with thousands of walkouts across the nation. Students chanted and held signs during the walkout. 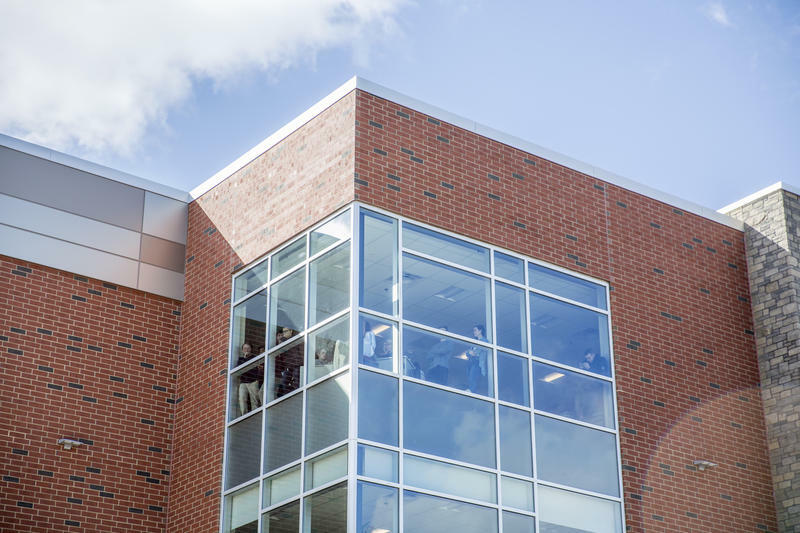 Students observed the walkout from inside the school building. Kyra Gines, one of the student organizers, said many of their peers chose to stick with their school day schedule but sent their support for the event. Students who walked out of class to protest waved at their fellow students from the school courtyard. 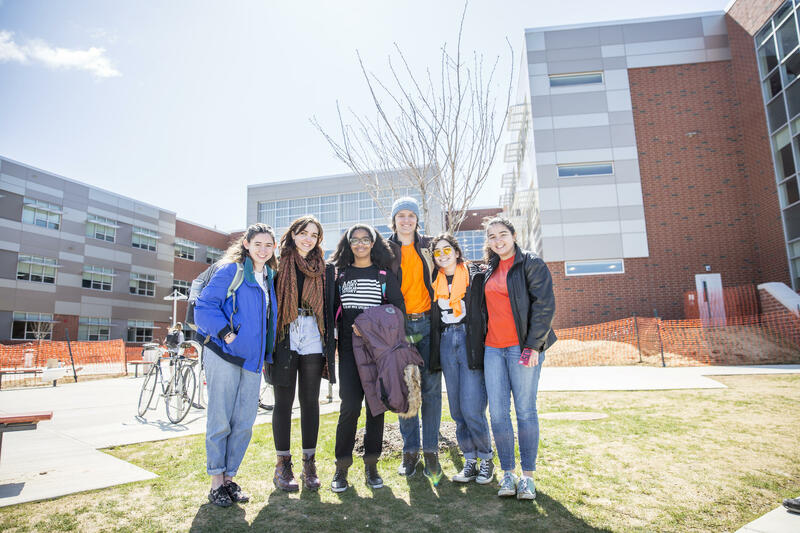 Six students from State College Area High School, (from left) Chloe Bevilacqua, Kayla Fatemi, Kyra Gines, Jackson Harper, Grace McDonald and Auden Yurman, organized the walkout. On April 20th, 1999, 12 students and one teacher were killed at the Columbine High School in Colorado. On this day 19 years later, a school walkout in protest against gun violence spread across the nation. Fatemi is one of the six students who organized the school walkout at the State College Area High School on Friday. About 70 students joined them in the school courtyard to protest gun violence. The students demanded common sense gun control and encouraged each other to take the issue to their political representatives. 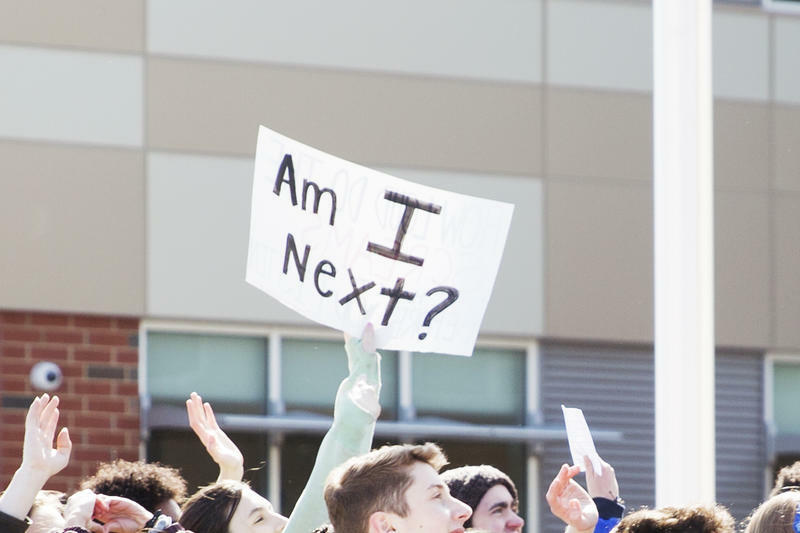 This is the third event students participated in, after a memorial supported by the school and a “March for Our Lives” with the State College community, since the school shooting that took 17 lives at Marjory Stoneman Douglas High School in Parkland, Florida in February. Student organizers talked about how fear of gun violence is an everyday reality for minorities. “We have to remember that kids deserve to be safe everywhere. 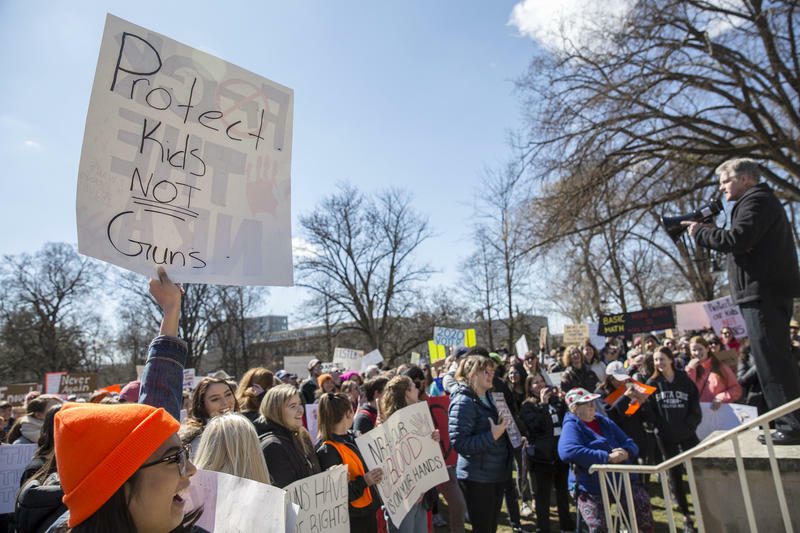 Young people in more dangerous areas like many cities and low income areas, or minority kids who are at a higher risk of gun violence should not have to walk around fearing for their lives,” Yurman said. “There's double standards about who should have guns, who can't have guns, who gets shot because they're assumed to have a gun,” said Kyra Gines, another organizer. She said, as a minority, it matters that this aspect is included in the discussion. Students also pressed the importance of voting. At the end of the walkout, many of them called local representatives to address their demands. The National School Walkout website says nearly 2,500 walkouts were planned across the country on Friday. 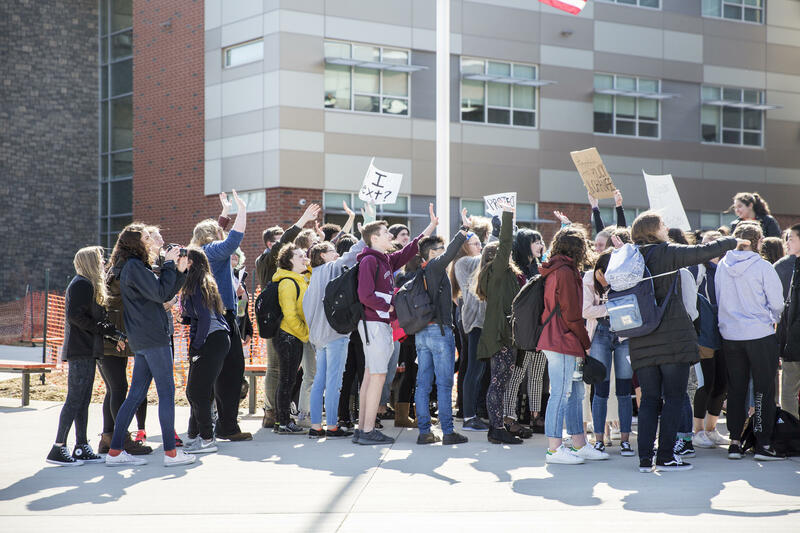 In a statement, State College Area School District Superintendent Bob O’Donnell said the school district “neither organized nor sanctioned the demonstration, and students who participated will receive a consequence” for cutting class. O’Donnell said the school district “believes in student voice.” School administrators and guards were present during the walkout. Yurman said she understands the school can’t get behind a political event, but the consequences will be “worth it” for the cause. “Detention is going to be lit,” Fatemi said, as all the student organizers laughed. Correction: The article originally attributed a quote from Yurman to Gines. Hundreds of people attended “March for Our Lives” in State College on Saturday, in conjunction with the national march taking place in Washington D.C. The march started in the courtyard in front of the State College Area High School and made its way to Penn State’s Old Main Building. State High students organized this sister march to protest against gun violence and demanded action for gun control policy. Students across the nation hosted walkouts on Wednesday in response to the school shooting in Parkland, Florida last month. 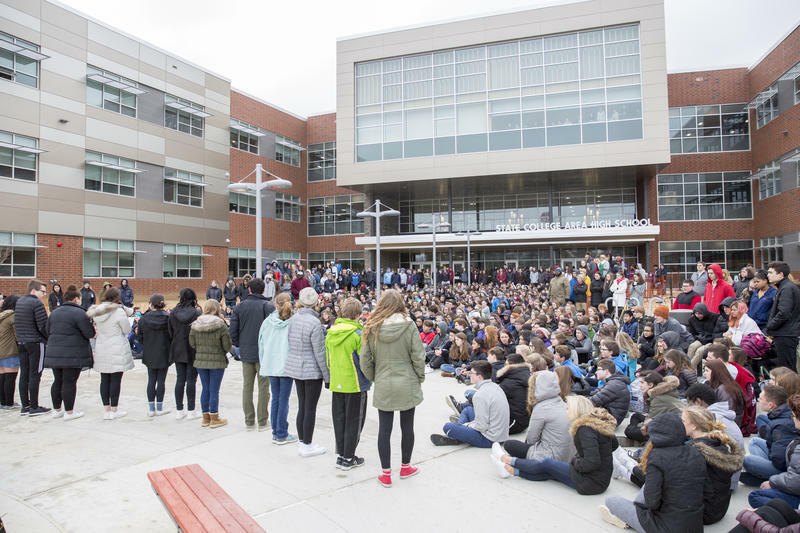 Students of State College High School held a memorial to pay tribute. Seventeen students read names and biographies of the 17 victims who died at Marjory Stoneman Douglas High School, followed by a moment of silence. About 300 students chose to attend the memorial in the school courtyard. School administration and student organizers worked together to plan to event.